“Historically informed performance practice” need not and should not be rule-bound and sterile. And it most definitely was not at Sunday evening’s performance by the Academy of Ancient Music in Corbett Auditorium at the University of Cincinnati College-Conservatory of Music. 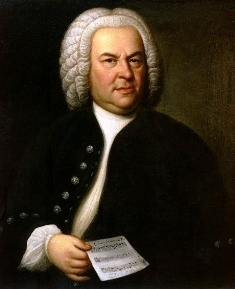 The world famous ensemble based in Cambridge, England, led by director/harpsichordist Richard Egarr, gave a beautifully expressive performance of the complete orchestral suites by Johann Sebastian Bach, one that was informed, but not constricting. The string players, for example, utilized selective vibrato, and the ensemble's careful dynamic shading (louds and softs) gave added connotation and shape to the music. Rarely, one felt, has Bach been so well served. The fifteen players performed on authentic baroque instruments, or replicas thereof, one-to-a-part, as would have been true in Bach’s day. The ensemble, variously deployed, comprised two violins, viola, flute, three oboes, bassoon, three trumpets, timpani and continuo (the bass line and supporting harmony “realized” by Egarr on harpsichord, with cello and double bass). The suites, each a set of dances preceded by a French ouverture, date from 1725-39 and were grouped for stylistic impact rather than chronological order, with Suites No. 4 and 3 framing Suites No. 2 and 1. In remarks to the audience before the performance, Egarr noted some of differences between the AAM's instruments and modern ones: baroque violins and viola played without chin rests, the cello held between the legs without an end pin, the use of only gut strings and the long, coiled natural trumpets (without valves). After tuning the ensemble, Egarr quizzed the audience on the concert pitch used, which was one step lower (French baroque) than the international standard adhered to today . “Think French,” in fact, might have been the lesson of the concert (double bassist Judith Evans used a French bow grip, too). Highlights were many. Among them was the exhilarating Réjouissance, which concluded the opening Suite No. 4 in D Major. Flutist Rachel Brown was featured in the Suite No. 2 in B Minor, itself a highpoint of the evening. Her chaste sound adapted beautifully to both its somber and energetic moments. The Polonaise included a wonderful Double (variation) for flute and continuo. The Suite concluded with a jolly Badinerie (French for “jesting”), which was taken at quite a clip. The long, flowing lines of violins and viola graced the Forlane of Suite No. 1 in C Major, which opened the second half. Scored for oboes and bassoon, Bouree II of the Suite was a delight as well. The Suite No. 3 in D Major, scored for trumpets, timpani, oboes, bassoon, strings and continuo, concluded the concert. It opened with a very festive Ouverture, including a bright, energetic fugal portion. The famous Air (known popularly in the arrangement dubbed Air on the G String) featured violinist Pavo Beznosiuk, accompanied by violinist Bojan Čičiƈ, violist Jane Rogers and continuo. It was an extremely moving performance, marked by gentle vibrato and expressive ornamentation. The trumpets sounded positively jubilant in Gavottes I and II, while the ensemble moved without a break from the Bourée to the final celebratory Gigue, which brought the audience to its feet in a unanimous ovation.